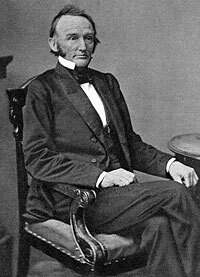 Postmaster General under Lincoln, Montgomery Blair was despised by radical Republicans and most of Lincoln’s cabinet. 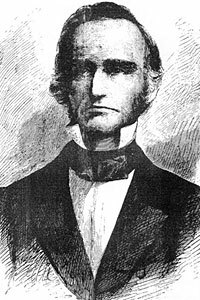 He was the lone hard-liner in Cabinet on Fort Sumter in 1861. Mr. Bates and myself came out of the Executive Mansion together and were holding a moment’s conversation, when Blair joined us, remarking as he did so, ‘I suppose you are both aware that my head is decapitated,—that I am no longer a member of the Cabinet.’ It was necessary he should repeat before I could comprehend what I heard. I inquired what it meant, and how long he had the subject submitted or suggested to him. He said never until to-day; that he came in this morning from Silver Spring and found this letter from the President for him. He took the letter from his pocket and read the contents,—couched in friendly terms,—reminding him that he had frequently stated he was ready to leave the Cabinet when the President thought it best, etc., etc., and informing him the time had arrived. The remark that he was willing to leave I have heard both him and Mr. Bates make more than once. It seemed to me unnecessary, for when the President desires the retirement of any one of his advisers, he would undoubtedly carry his wishes into effect. There is no Cabinet officer who would be willing to remain against the wishes or purposes of the President, whether right or wrong. 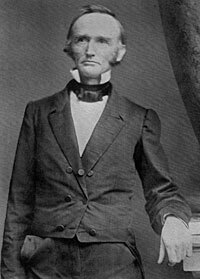 An attorney in practice with his brother in St. Louis before the war, Blair had served as counsel for Dred Scott as U.S. solicitor in the Court of Claims. 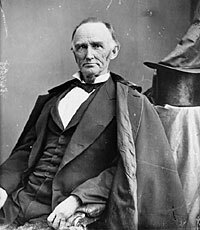 His opposition to Radical Republicans pushed him into the Democratic Party after the Civil War where he assisted in his brother Frank’s pursuit of higher office. 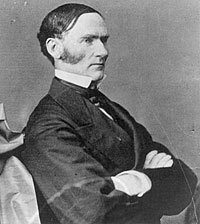 He lost an effort to be elected to the Senate in February 1865 and a House race in 1882. Michael Burlingame and John R. Turner Ettlinger, Inside Lincoln’s White House: The Complete Civil War Diary of John Hay, p. 233. 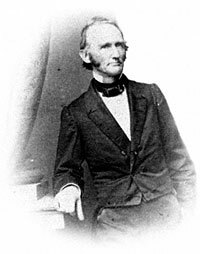 Herbert Mitgang, editor, Noah Brooks, Washington, D.C., in Lincoln’s Time, p. 41. 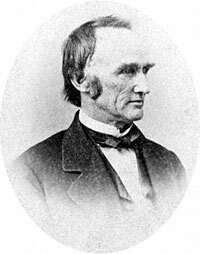 Brooks, Washington, D.C., in Lincoln’s Time, p. 127. William Ernest Smith, The Francis Preston Blair Family in Politics, p. 243. Michael Burlingame, Abraham Lincoln: A Life, Volume II, p. 304. Gideon Welles, Diary of Gideon Welles Volume II, pp. 156-57.